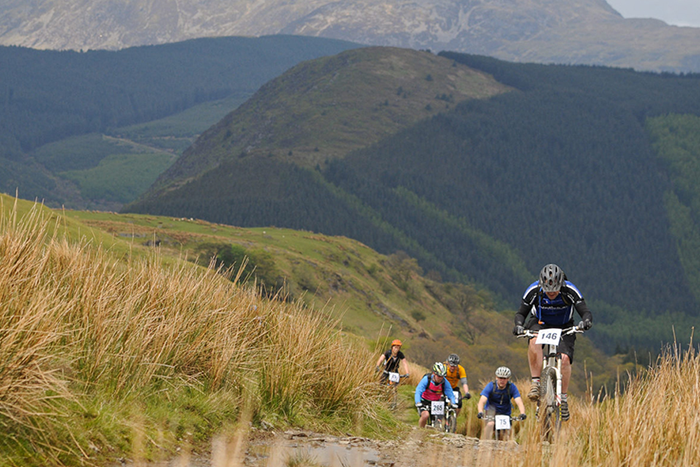 The Dyfi Enduro is a mass start MTB endurance ride around the Dyfi Forest, Wales. The event takes place on the May Day Bank Holiday weekend. 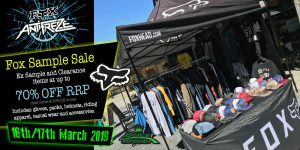 Event: Sunday May 5th 2019. Entries open. 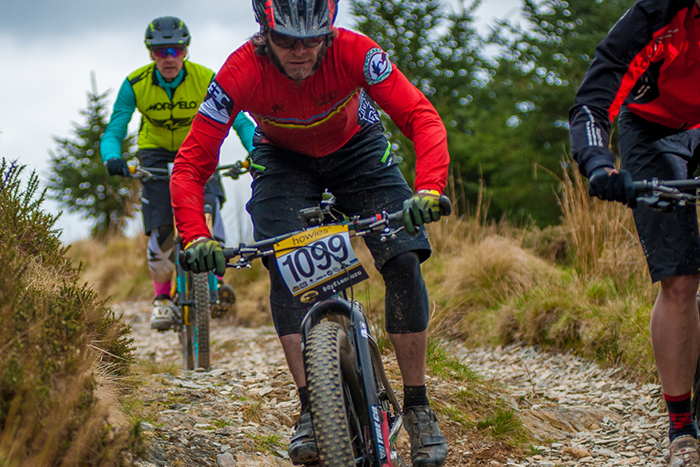 The Dyfi Enduro returns! After selling out it’s 1000 entry spaces the 2018 event was unfortunately forced to cancel due to a waterlogged event site but the event returns to ride again in 2019. All 2018 entrants who did not request a refund during the refund window (there were around 550 of you), have been automatically carried over to the 2019 event. You can check our list of carry-over entries or log into your Eventbrite panel or app and check there. We have also sent an email to all those with carry-over entries to remind them they are already signed up for the event. 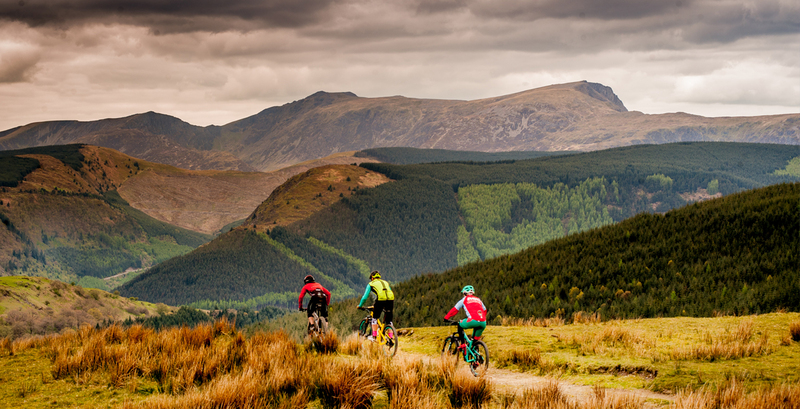 The Dyfi Enduro returns as THE epic MTB ride of 2019. 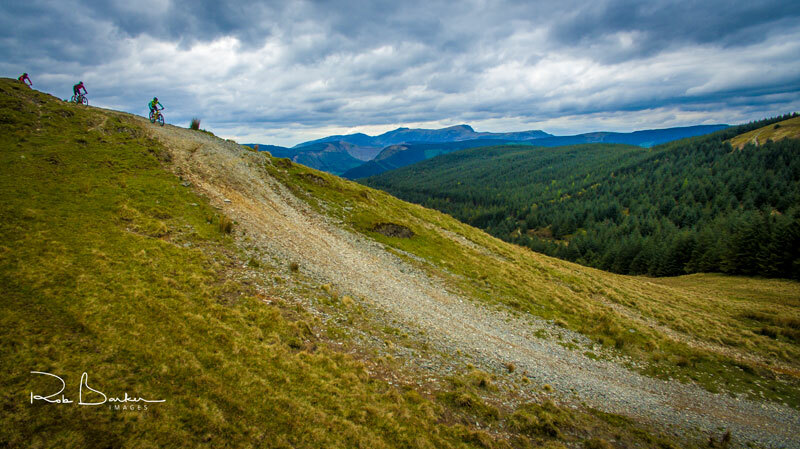 The event route offers up a challenging 56km tour of the Dyfi Forest’s finest trails and this year the route gets the major remix that was slated for 2018 before the event was forced to cancel due to a waterlogged event site.So for new riders and regulars alike a new adventure awaits. We’ve got new sections plus some lesser known trails from our early days and of course we’ll have old favourites like the famed World Cup descent. For those who can make the route checkpoint before cutoff time, there will be an extra 4km loop that offers a further 200m of descending (and climbing). 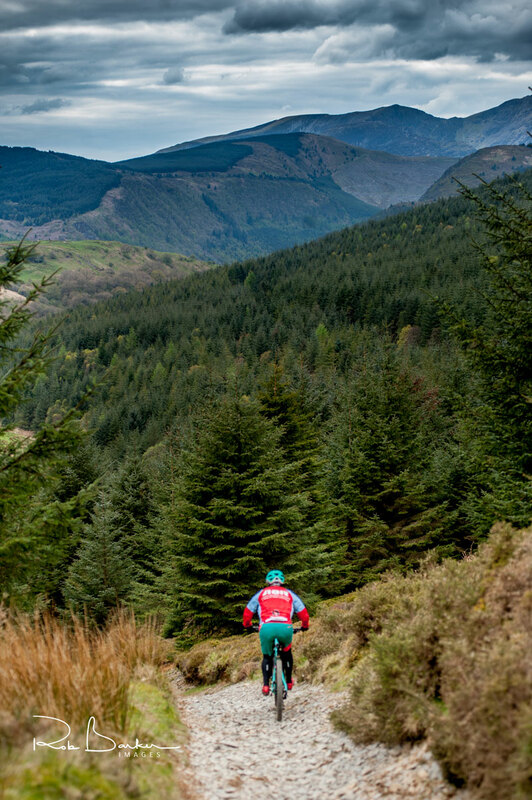 The Dyfi Enduro or just “The Dyfi” as it’s commonly known, serves up a hand picked selection of the Dyfi Forest’s finest mountain biking. 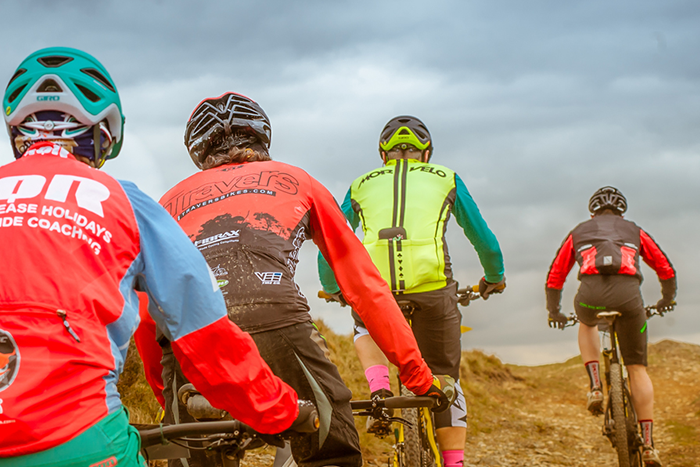 You can expect big climbs and long flowing descents, endless skylines punctuated by mountain peaks and deep secluded valleys filled with tree lined singletrack. There will be mud, there will be rocks, roots, water and miles and miles of grin inducing descents that will rattle your bones and turn the fun factor up to 11. 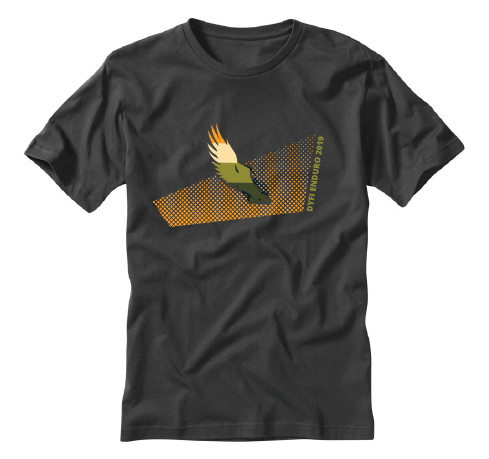 Requirements are a stout pair of legs, a well maintained bike and a love of adventure. 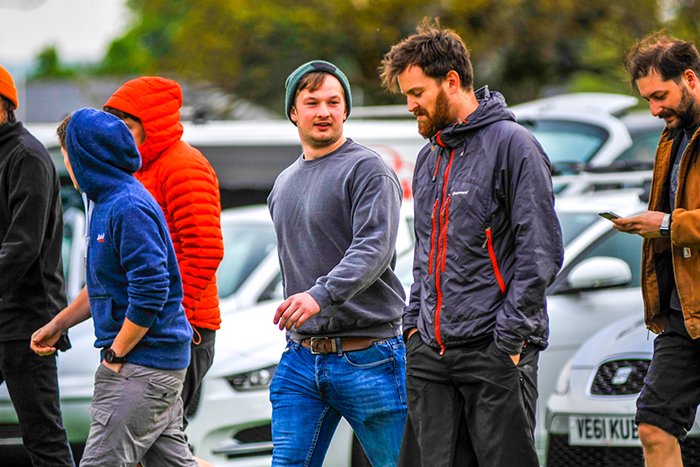 The event has quite rightly gained it’s reputation from its challenge, the distance and of course the quality of trails on offer. 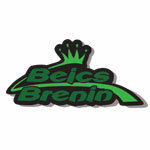 It’s our badge of quality and the reason why so many return year after year. 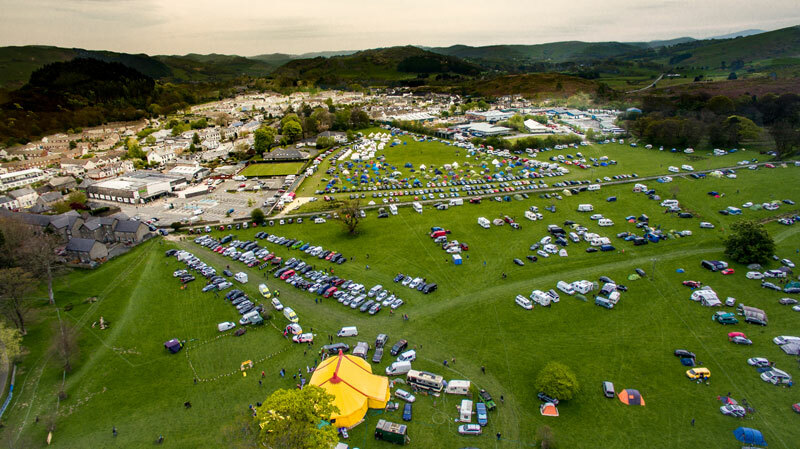 2019 Event Camping information will be posted here soon. Further information on the planned on-site event entertainment will be posted here soon. 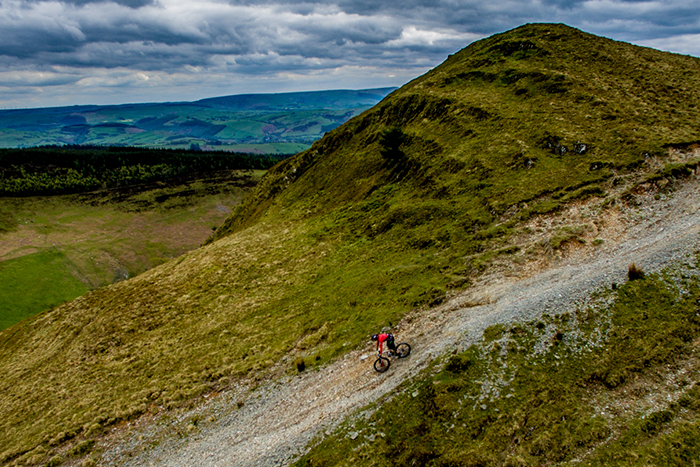 The Dyfi Enduro is a BIG ride. There’s lots of climbing and lots of descending making this a test of both rider skills and fitness. 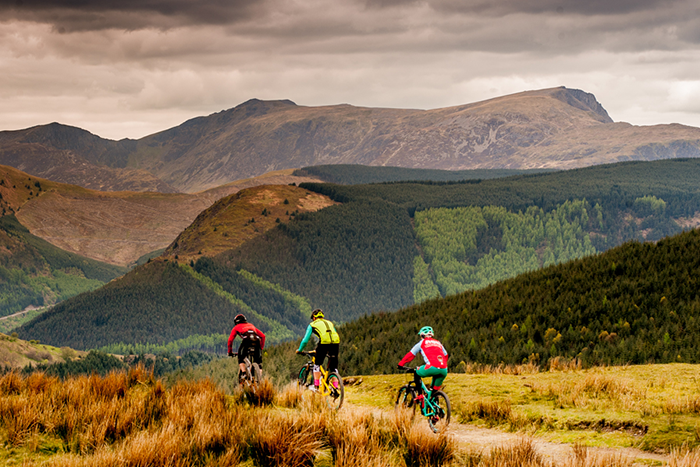 The ride is long and quite technical in places but you’ll be rewarded by an experience that includes the best that the Dyfi Forest has to offer. The route is a tough 56km and for those who make it to the route checkpoint before the cutoff time, there is the option to add an extra 4km loop that adds a further 200m of climbing and descending. 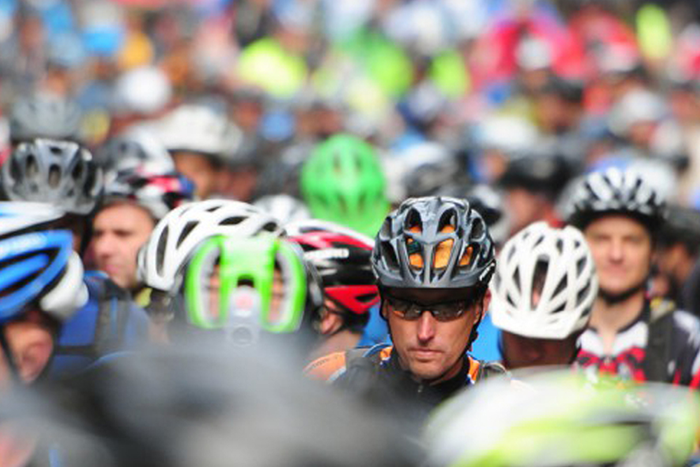 Riders will again assemble for the event’s fabled ‘big-roll-out’ through the main street of Machynlleth before beginning the long and arduous climb into the Dyfi Forest. But what awaits you in return is spectacular. Each epic climb rewarded by epic views and epic descents. 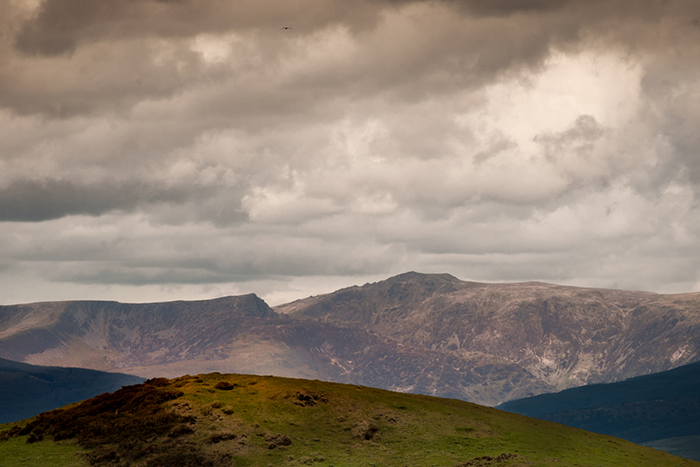 The scenery on route is spectacular, with (weather permitting) views north towards Southern Snowdonia and South to the Cambrian range. 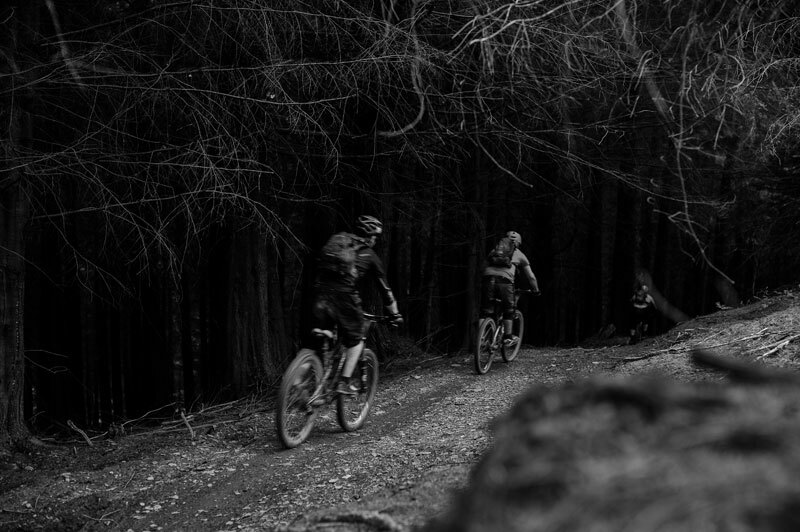 The forest itself is a maze of fine mountain bike trails, offering some of the UK’s best riding. 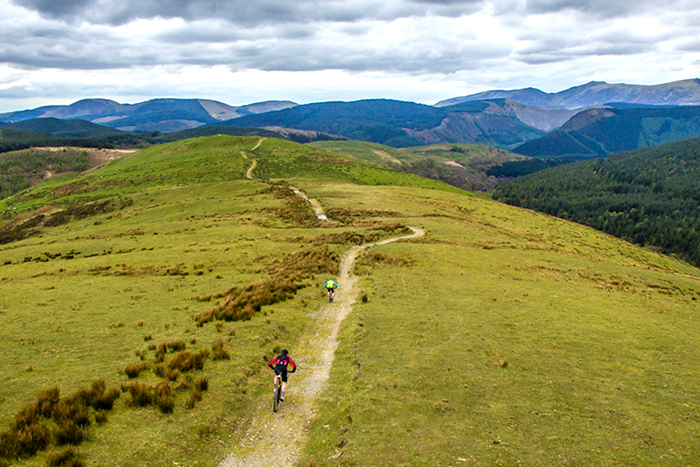 This years a big route shake up offers new adventure, with some completely new trails, some old classics from the early days of the event and of course some Dyfi Enduro favourites reworked into a challenging but thrilling 56km ride that offers a day of superb mountain biking. 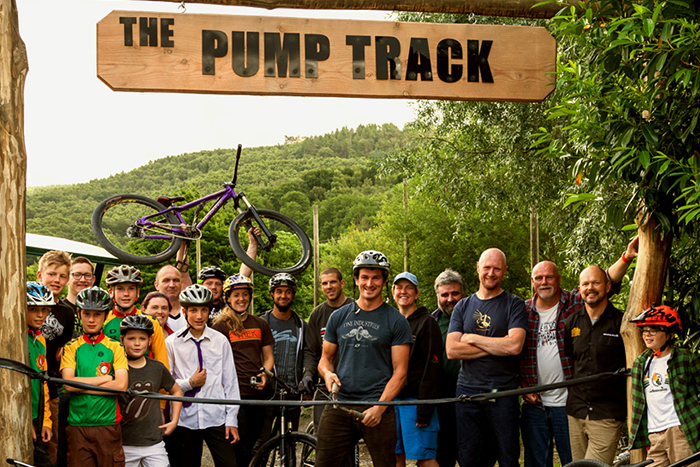 After riders cross the finish line in the forest, riders return to event HQ in Machynlleth on back roads to be rewarded with a warm welcome and a well earned Dyfi Enduro event mug. The event is known for its surprises and this year’s event should be no exception, you can expect to encounter a few ‘out-of-the-ordinary’ sites on route which in the past have included cheerleaders, brass bands, thrash brands, gun toting hillbillies, aliens and zombies. And as for 2019,….well you’ll have to wait and see. 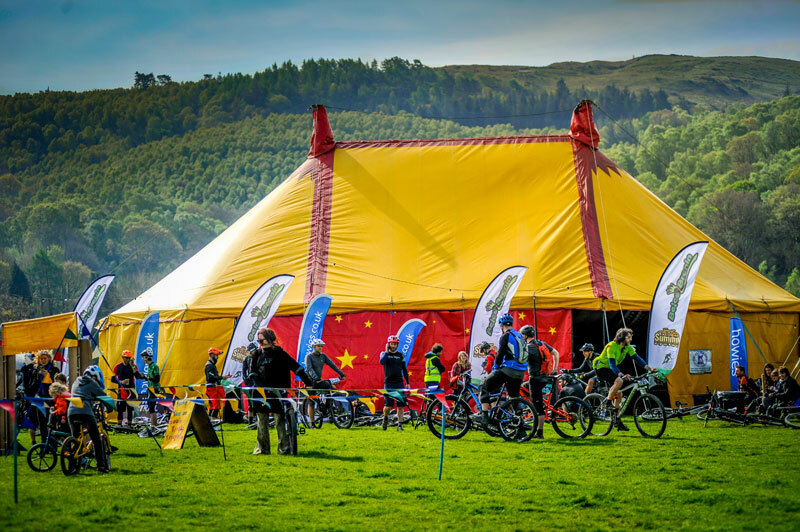 Event sign on, information, bar, food and meeting place will again be in our big top. 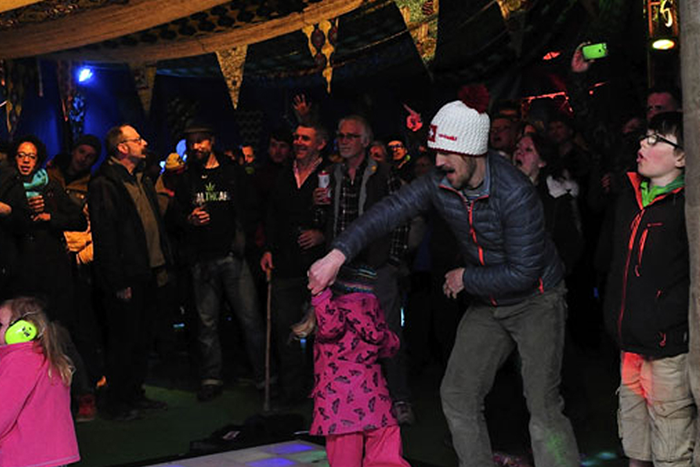 The tent provides us a warm & dry space to hang out, relax and to party. Entries will again be available via Eventbrite. A link to the entry page will be posted on the top of this page when the Eventbrite entry page is live. You can speed up your entry process by signing up for Eventbrite beforehand. We will publish MORE INFORMATION for entrants closer to the event. Entrants will receive an email from eventbrite to confirm that their entry was successful. Dyfi events will also send several emails on the run up to the event containing more important event information for riders. Then, around a week before the event, full joining instructions and sign-on information for participants will be sent out via email and will be available from this page. 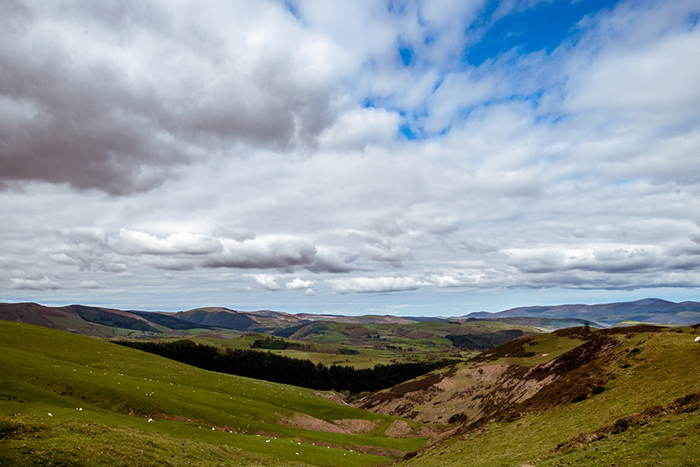 My 8th Dyfi, and I've always loved it for the mental descents and the whole laid-back feel of it. 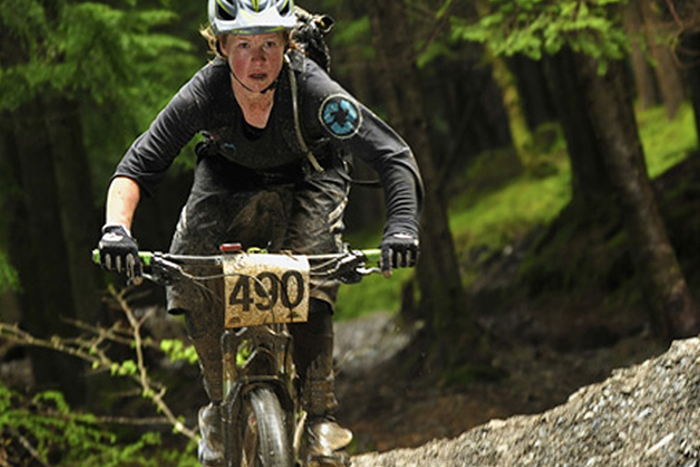 Can’t wait for the Dyfi Enduro? 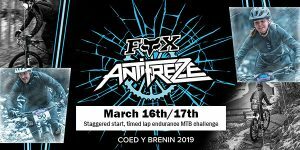 Why not join us at Coed y Brenin in March to kick-start your riding year at the Fox Antifreeze.